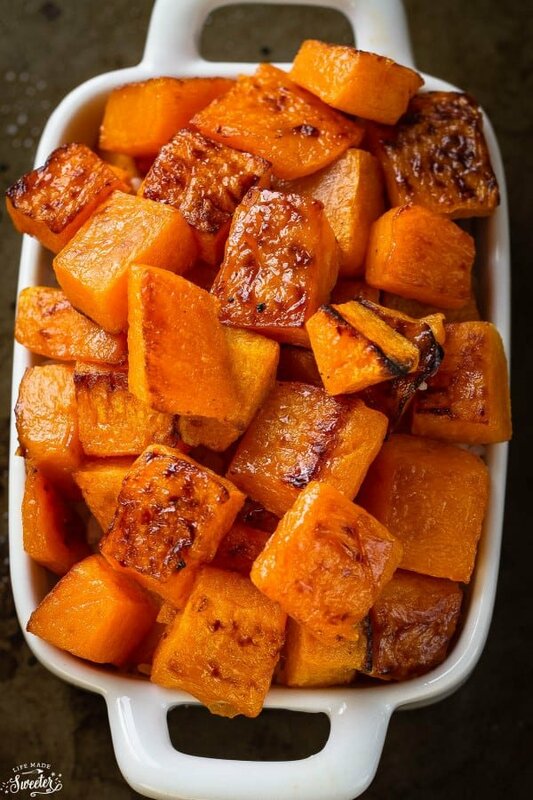 One thing I do know, however, is that no Thanksgiving feast would be complete without at least some form of squash, or sweet potato, on the menu! Turkey also appears to have a prime spot on the table. And of course, food tends to be served, and eaten, in abundance! 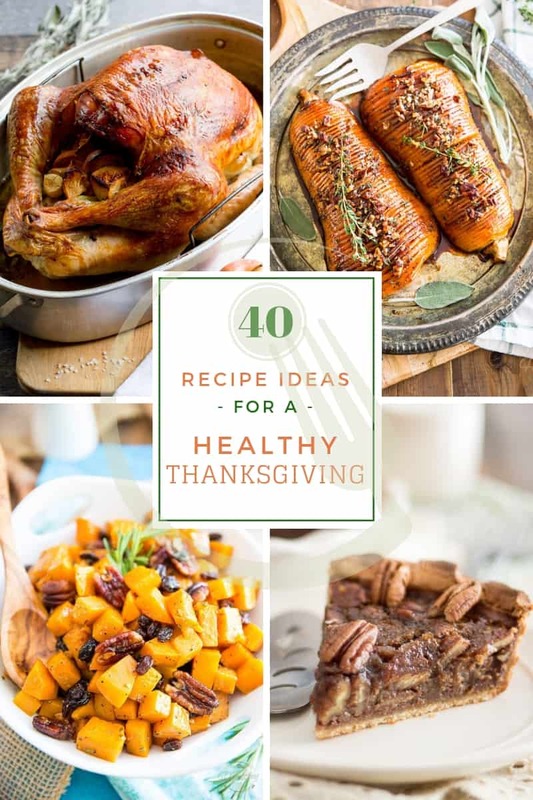 Soooo, just in case you’re still short a recipe or two and aren’t done figuring out your entire Thanksgiving menu just yet, I thought I’d share a few ideas with you to help you keep your Thanksgiving on the healthier side! I know I’m very last minute (tell me, just when am I not last minute?) but I hope you still find that this roundup comes in handy! 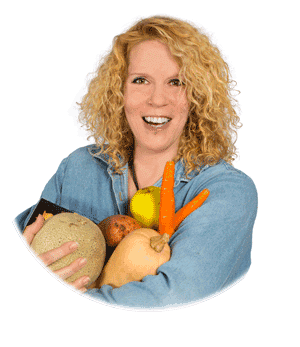 Oh, and before I go: happy cooking and a very Happy Thanksgiving to all who celebrate it! 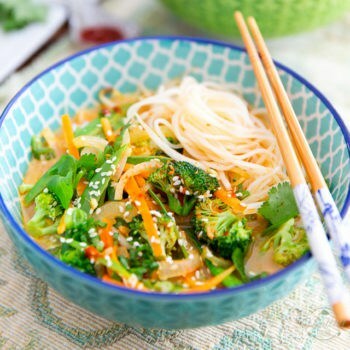 How’s about a bowl of soup before movin’ on to the main course? 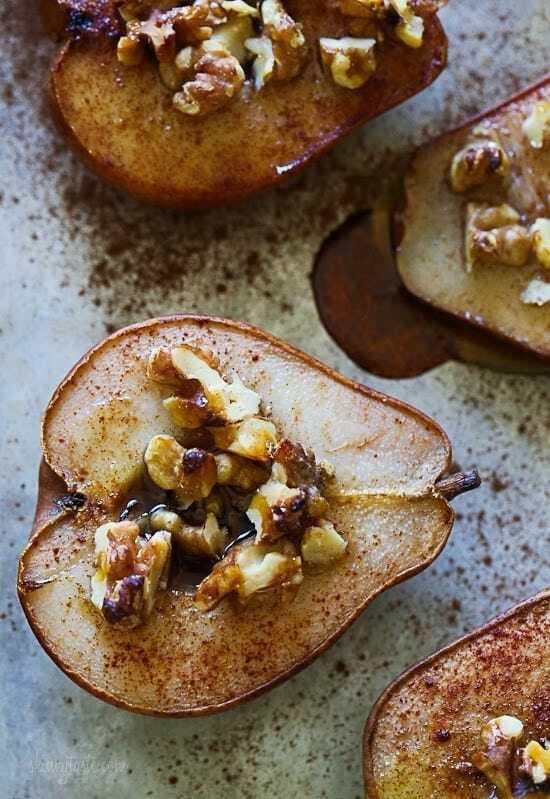 Apple, butternut squash, walnuts and ginger really sound like a winning combination to me. 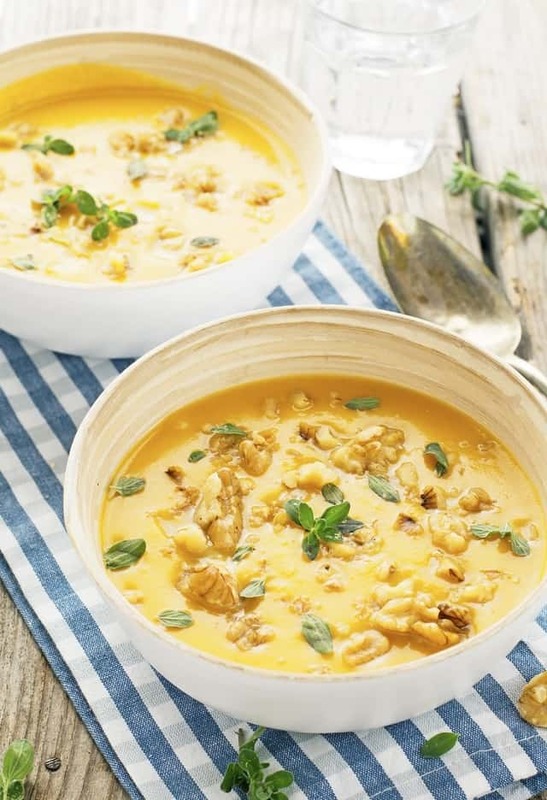 This easy and healthy curried acorn squash cream soup is the perfect fall comfort food. 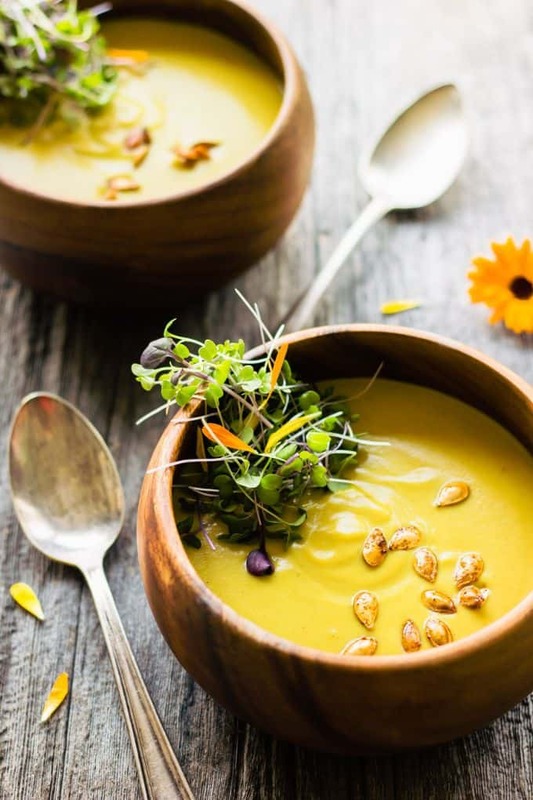 Sweet and spicy, creamy and savory, this simple potage is also vegan, gluten-free, dairy-free, paleo, vegetarian, flourless, nut-free and sugar-free. 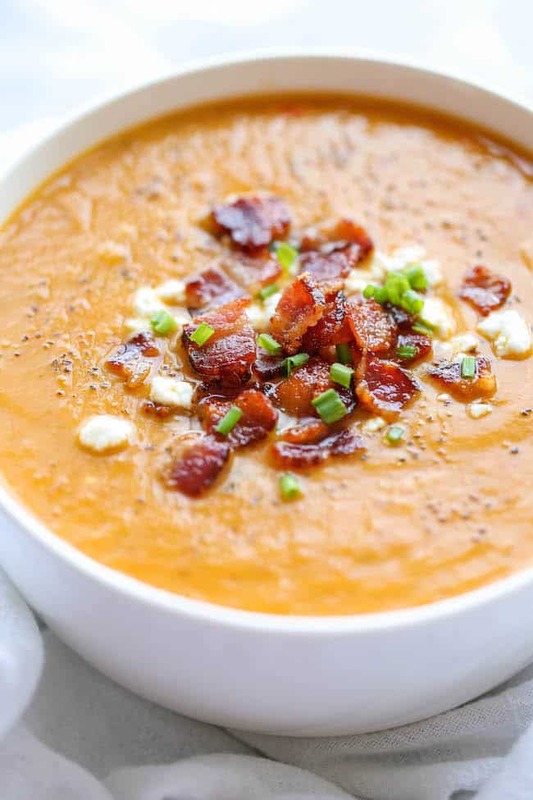 According to its creator, this is by far the best butternut squash soup ever, with the help of those crisp bacon bits blended right into the soup! 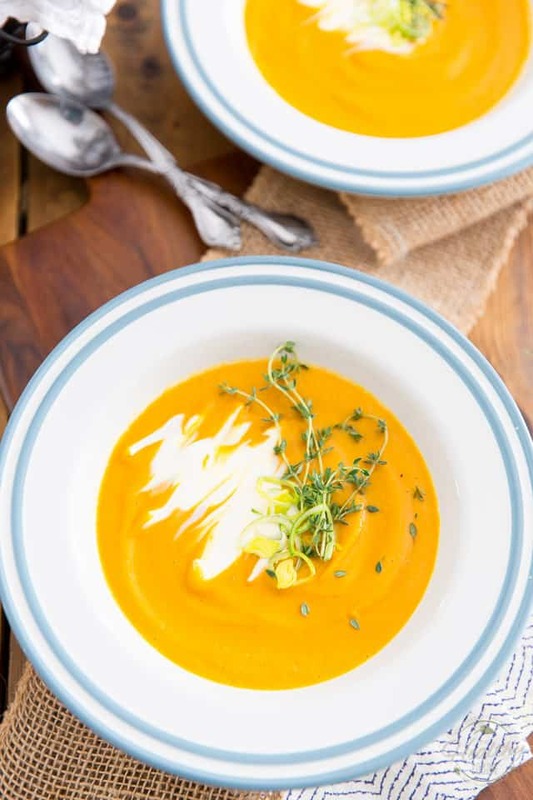 This Cream of Leek and Sweet Potato Soup is so silky and creamy, it’s the perfect dish to warm your body and soul on a cold winter day. 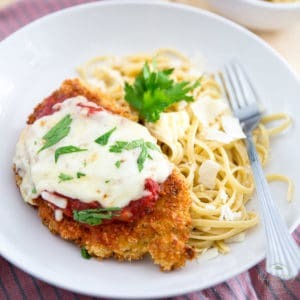 Best of all, it’s super easy, and crazy quick, to make! 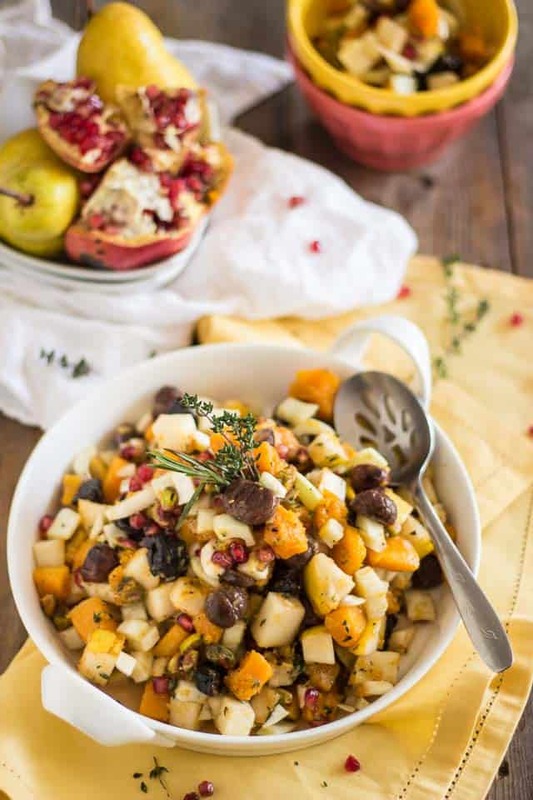 Made to be served cold, this butternut squash, pear and chestnut salad with pomegranate, fresh and crispy fennel, dried prunes and crunchy pistachios, definitely has a clear winning advantage: it can be made ahead of time! Need another good reason to make it? It’s so delicious, I guarantee you it’s worthy of getting a prime spot on your Thanksgiving table, right next to your homemade smoked ham, perhaps?. 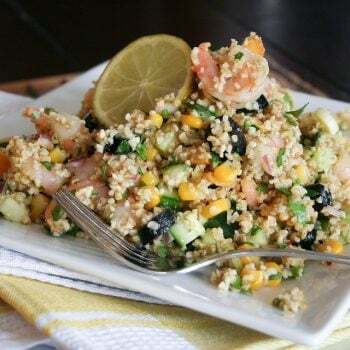 All I know is, a salad this beautiful AND delicious looking, you definitely want to have on your menu! 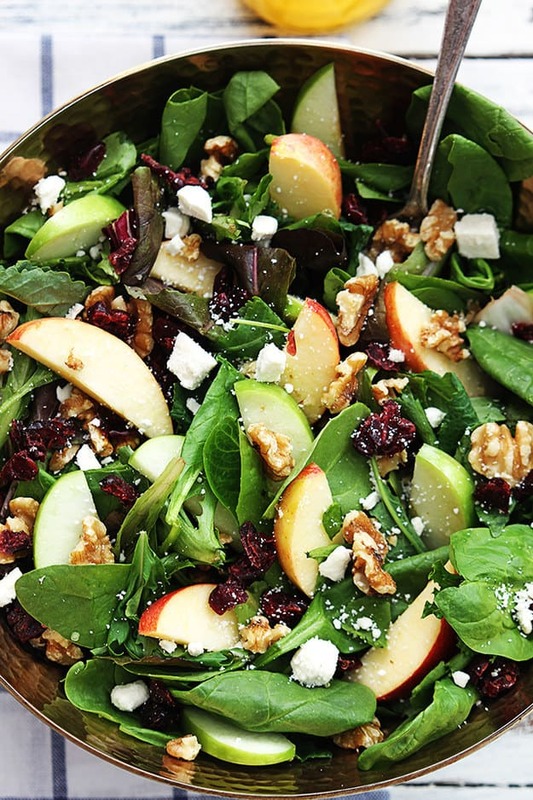 A salad SO pretty, you may even want to use it as a centerpiece! It looks like jewels in a bowl! 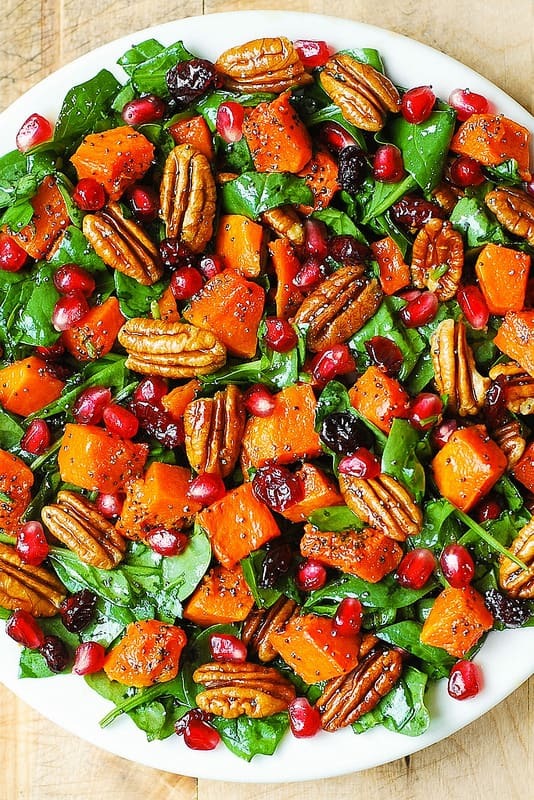 Gorgeous, colorful, filled with so many textures… if you’re planning on serving this salad on Thanksgiving, will you please invite me over? 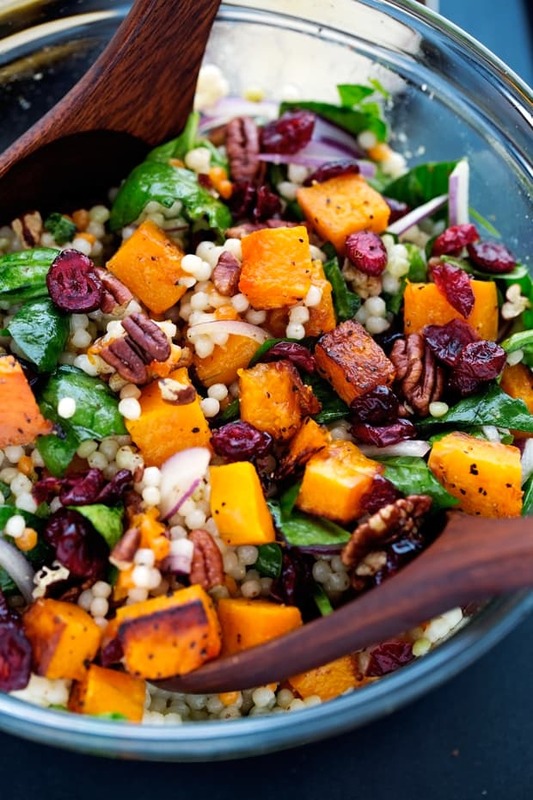 A healthy fall salad with delicious and clean ingredients! And so pretty, too! 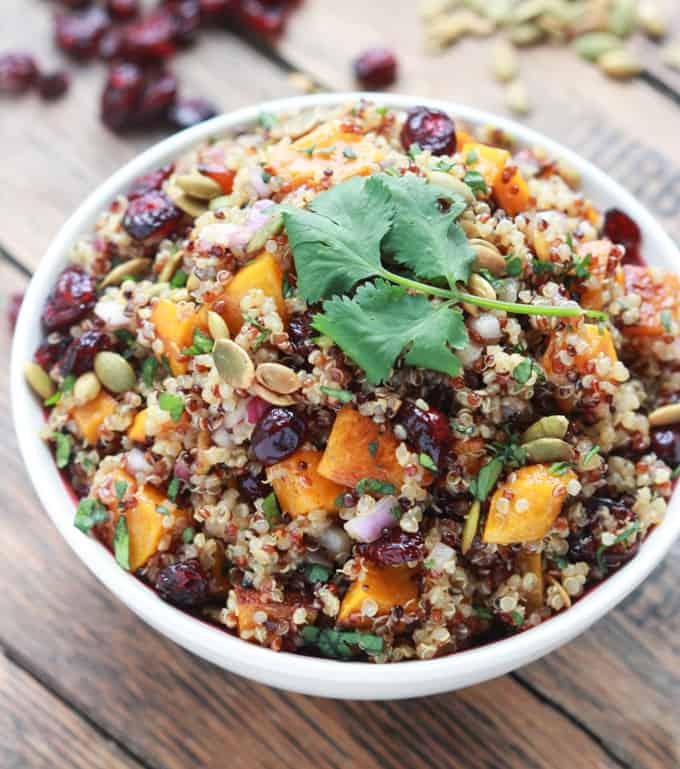 I say it’s totally worthy of making it to your Thanksgiving table! This is a perfect Autumn or Winter (or Thanksgiving!) 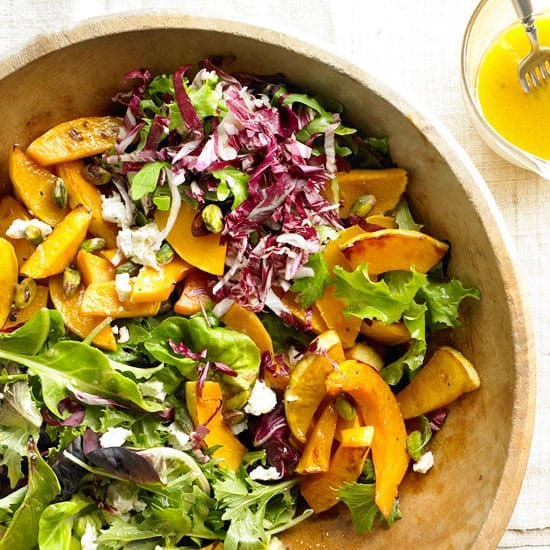 salad, since it uses lots of seasonal ingredients that are available this time of the year. 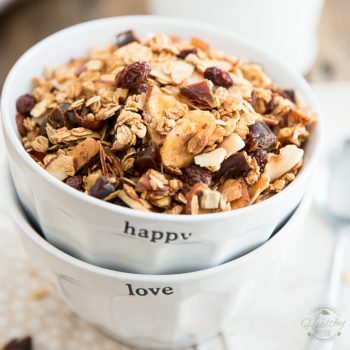 Healthy, gluten free, packed with nutrients and fiber! WIN! 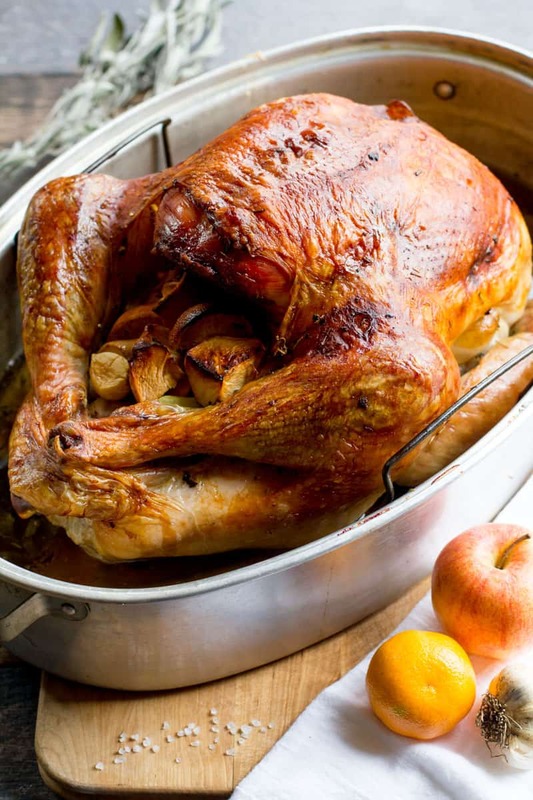 Let’s face it, no Thanksgiving would be complete without turkey. 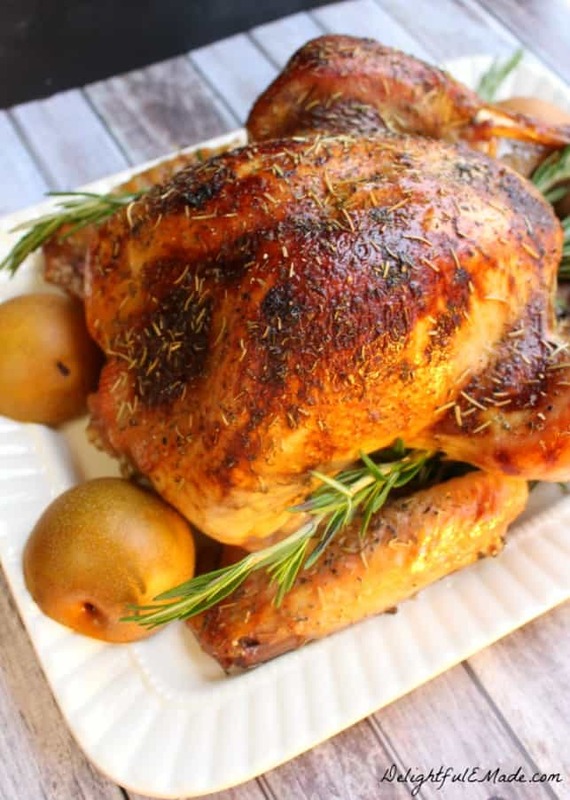 And if you’re going to put a moist, juicy and flavorful bird on the table this Thanksgiving, brining it is a crucial step that you won’t want to skip! Good thing Erin is here to help! I know I’m definitely doing it this Christmas! 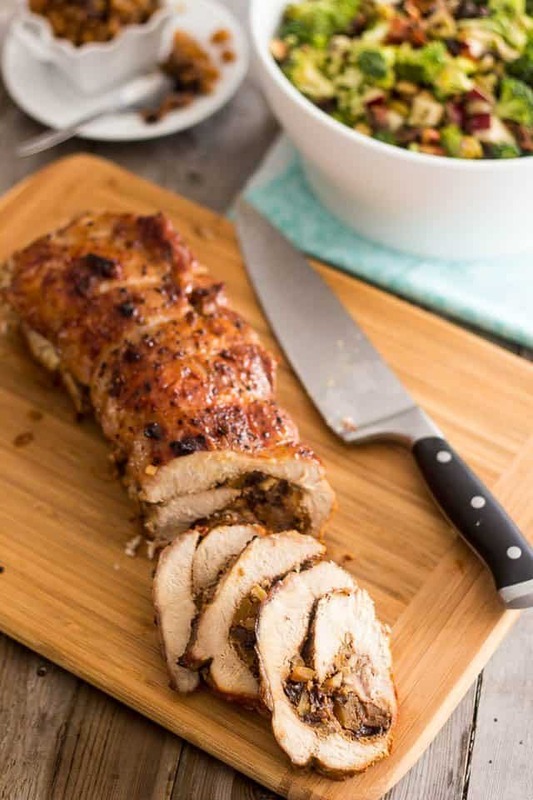 A tender pork loin, all rolled-up and filled with the most delicious candied ginger and butternut squash chutney. 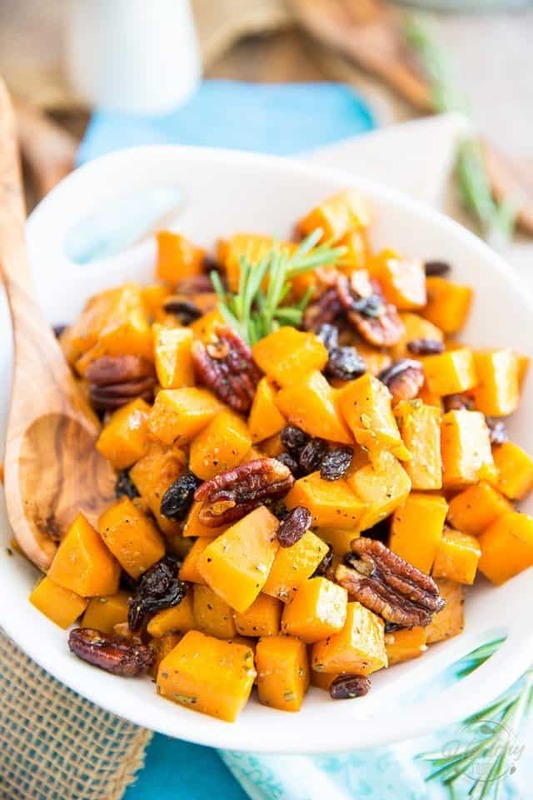 If you’re wanting to serve something that’s a bit on the fancy side this next Thanksgiving, this is the perfect dish for you! 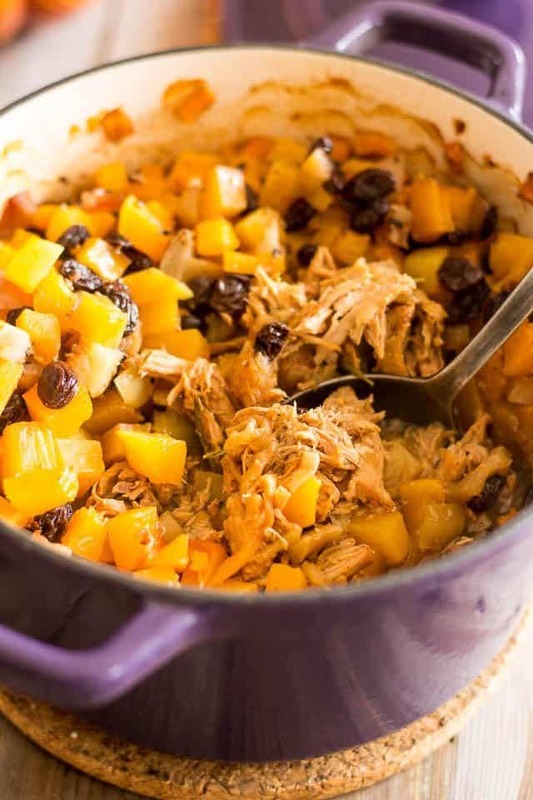 This Pulled Pork and Butternut Squash Casserole has pleasant notes of sweet apple, spicy seasonal aromas as well as rich, heavenly tones of salted butter. A dream! 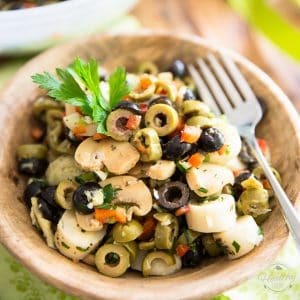 A one pot-dish option that’s guaranteed to please even the pickiest of eaters! 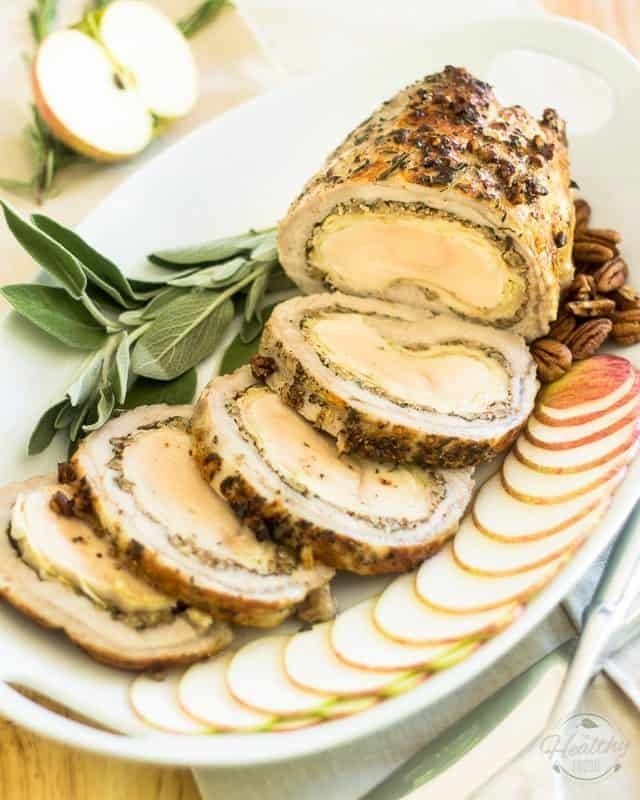 A delicious pork loin stuffed with a whole chicken breast, sliced apples, pecans and fresh herbs, this Apple Pecan “Porc au Coq” is sure to please! 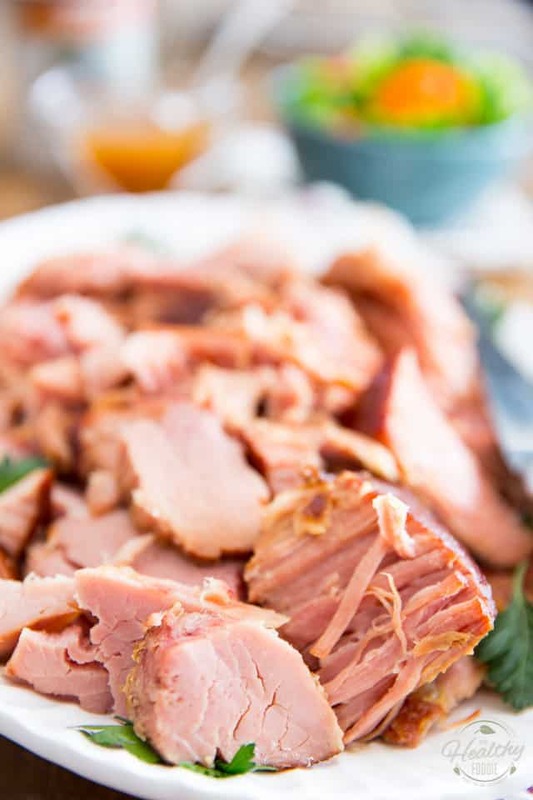 Cooked for hours in a succulent brew of pure maple syrup and all natural pale ale, this Slow Cooker Maple and Beer Smoked Ham will, without a doubt, come to be the most tender, tastiest and juiciest ham you’ll have ever tasted! 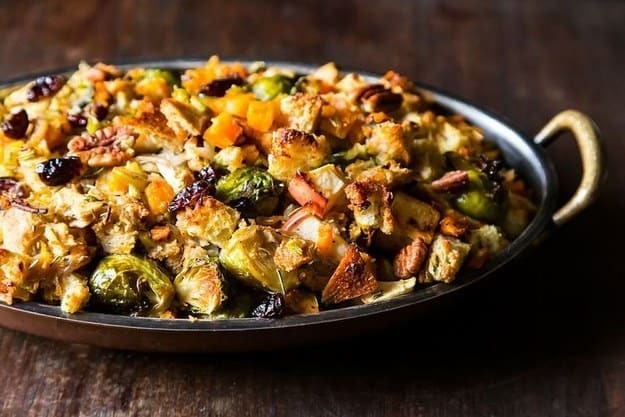 Stuffing so stunningly gorgeous and so delicious looking… I say you should definitely serve it “on the side”. I wouldn’t want to hide that beauty inside a bird. 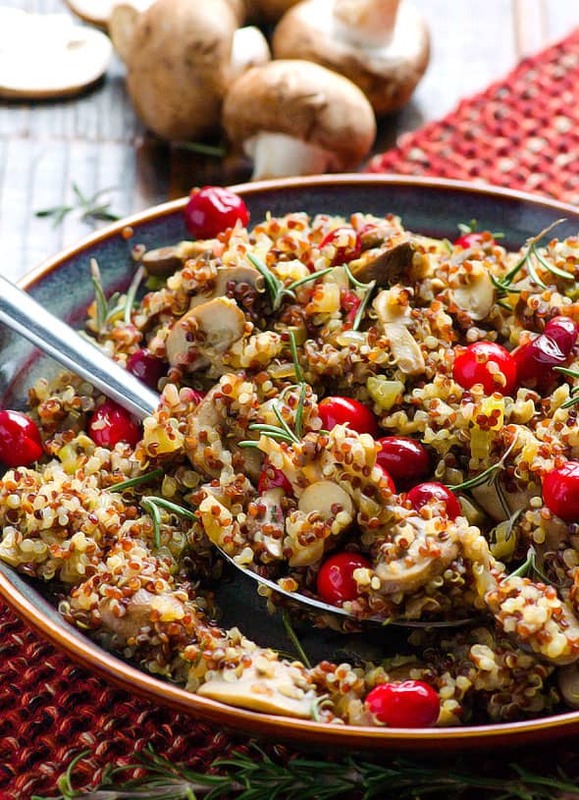 This one’s a beautiful twist on the traditional bread stuffing. And it looks pretty yummy too! How gorgeous does this look? Never mind the turkey, I want to have some of that NOW! 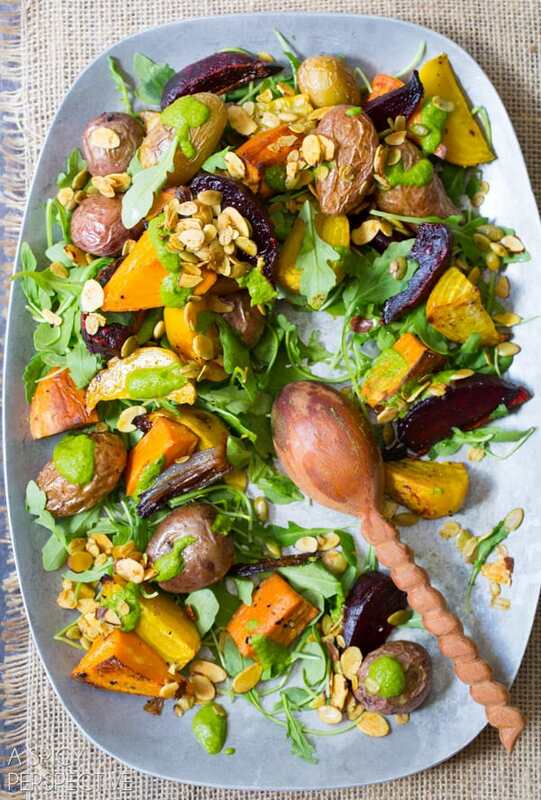 This one has so many Thanksgiving must-haves, all rolled into a single dish. I say this is a definite must-make! 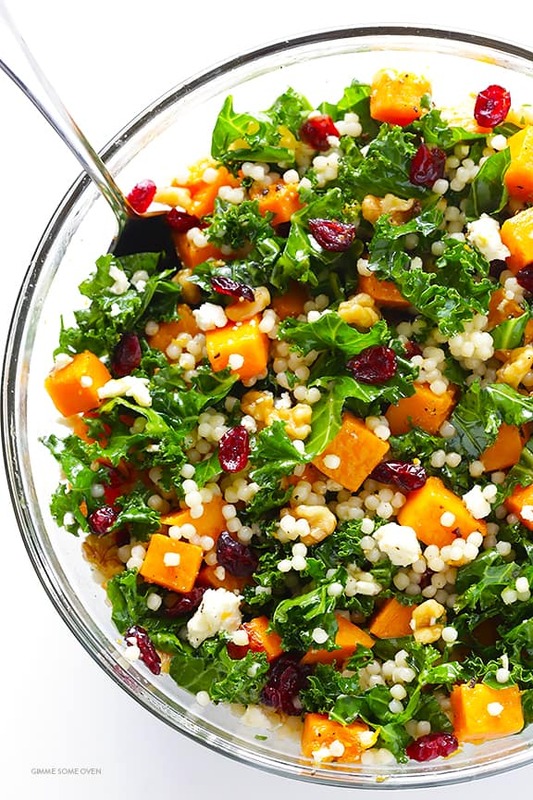 Delicious food doesn’t have to be complicated, does it? Not even on Thanksgiving, it doesn’t. Here’s proof! 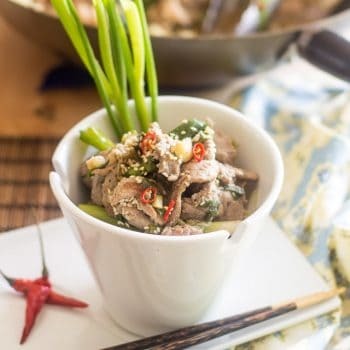 If you want to go all out and don’t mind spending a little bit more time in the kitchen, especially if you’re gonna get visually stunning results, then this one’s for you! 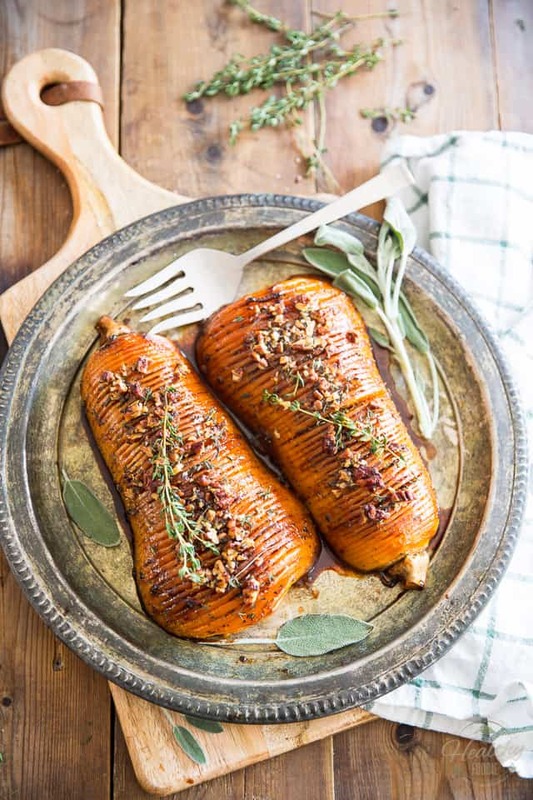 As elegant as it is delicious, this Honey Glazed Hasselback Butternut Squash is guaranteed to be the star of your dinner table. Oh my! 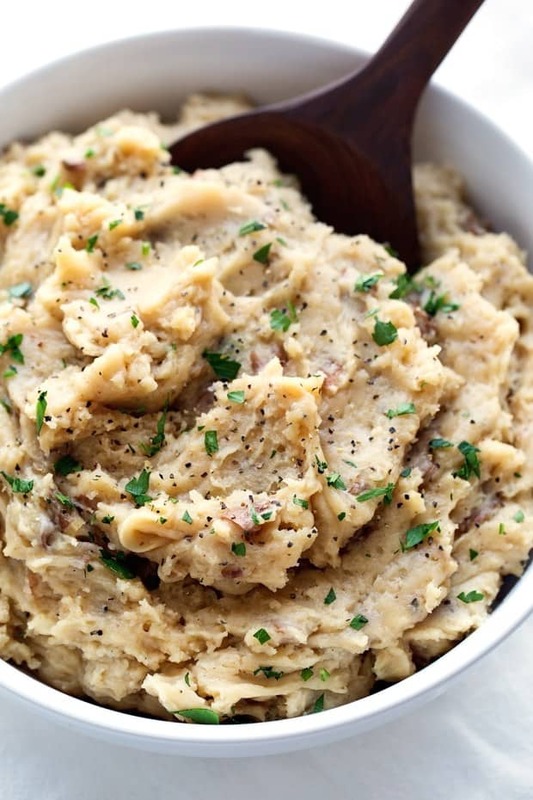 Roasted Garlic + Mashed Potatoes in the slow cooker? I’m sold! Is there still room to put these on the menu? Sure there is! We’ll just have to skip dessert, that’s all. Does this look good or what? 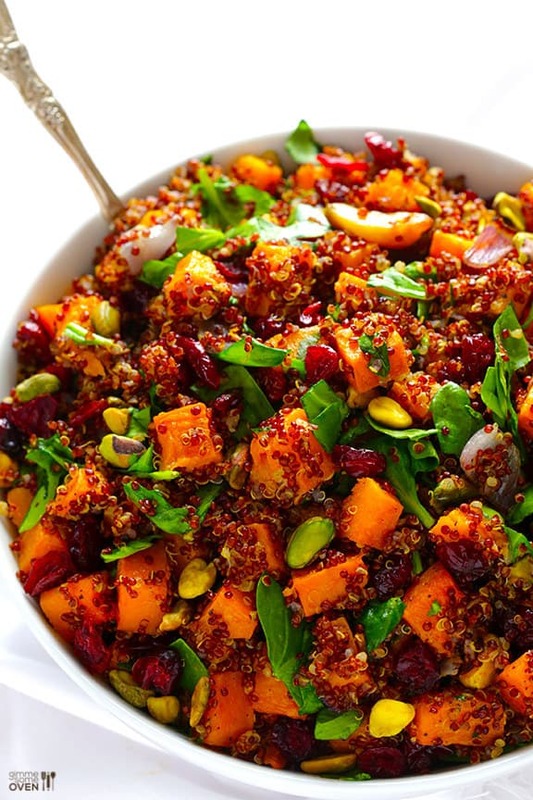 For a fan of butternut squash such as myself, I say this is an absolute must. 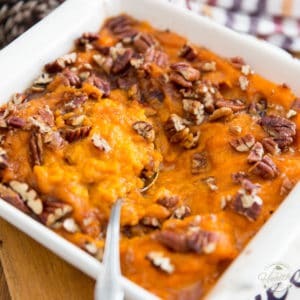 A new and improved version of my sweet potato “gratin”, this true stunner will definitely steal the show. Try not to put it too close to the turkey, though, otherwise the bird might get a bit jealous! 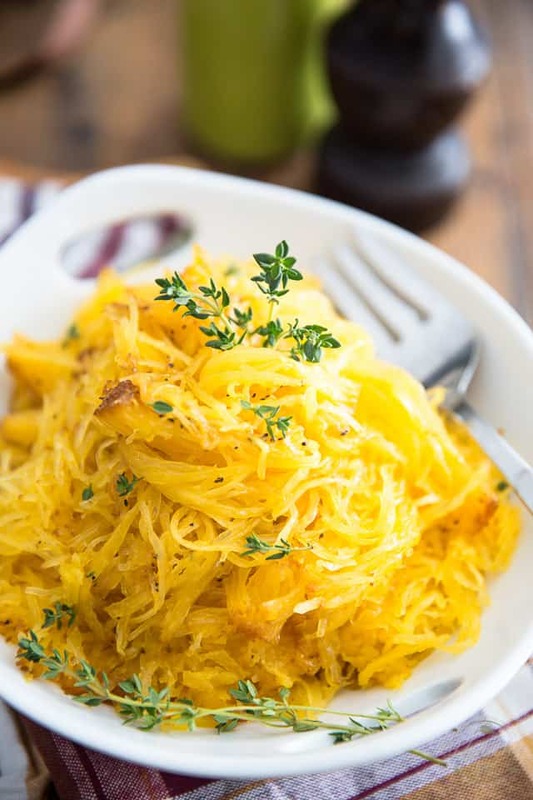 So very easy to make and so deliciously tasty, Oven Baked Spaghetti Squash might very well become your favorite side dish, or pasta replacement! 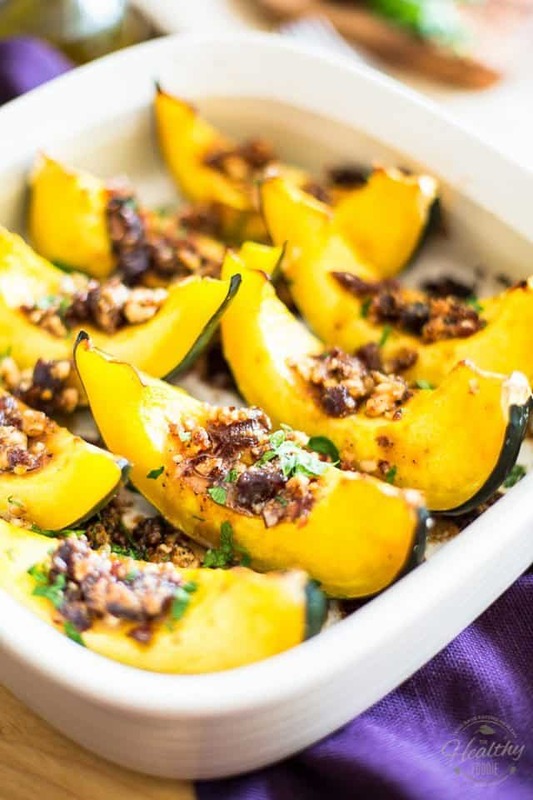 This Candied Butternut Squash is so tasty, you don’t even need to be a fan of squash to enjoy it! 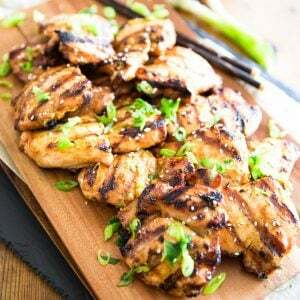 It goes good with practically everything, any time of day! 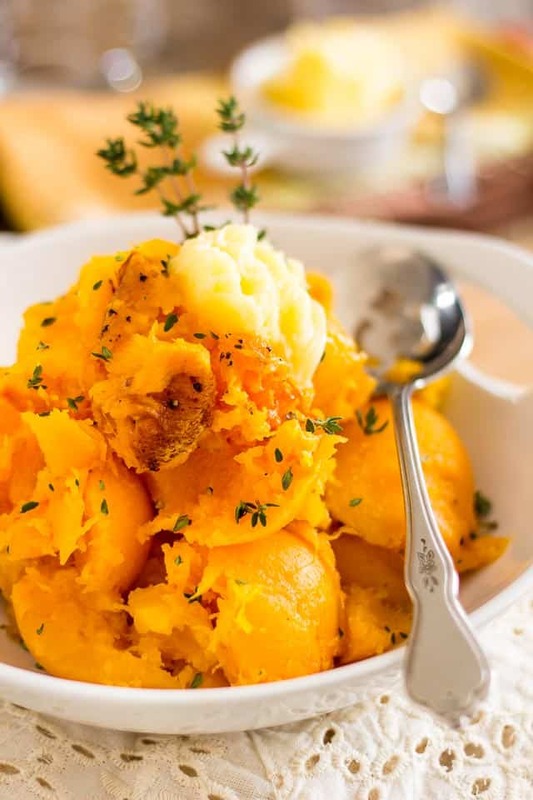 So simple yet so elegant, this rustic Oven Roasted Butternut Squash mash is a tasty and versatile side dish that goes good with just about anything, any time of day, but that would shine particularly brightly next to your Thanksgiving turkey! 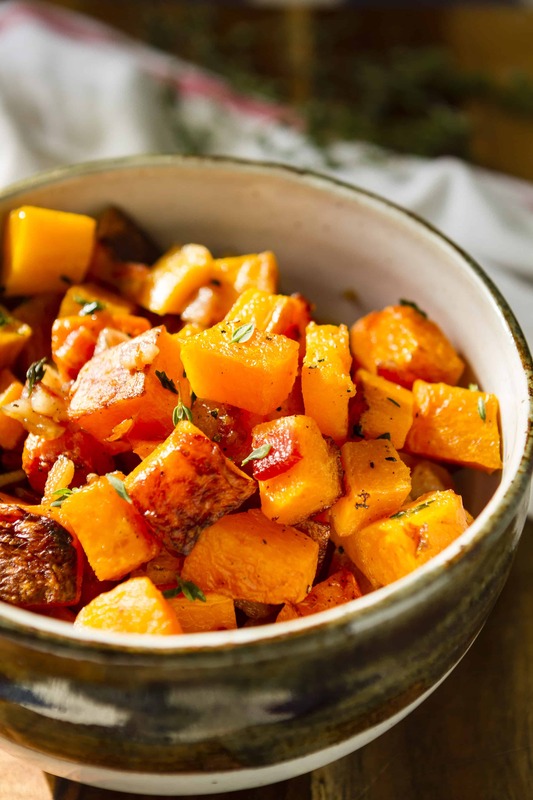 Just three simple ingredients combine to create this fabulous side dish: bacon, butternut squash and fresh thyme. Proving once again that good food doesn’t have to be complicated, not even on Holidays! 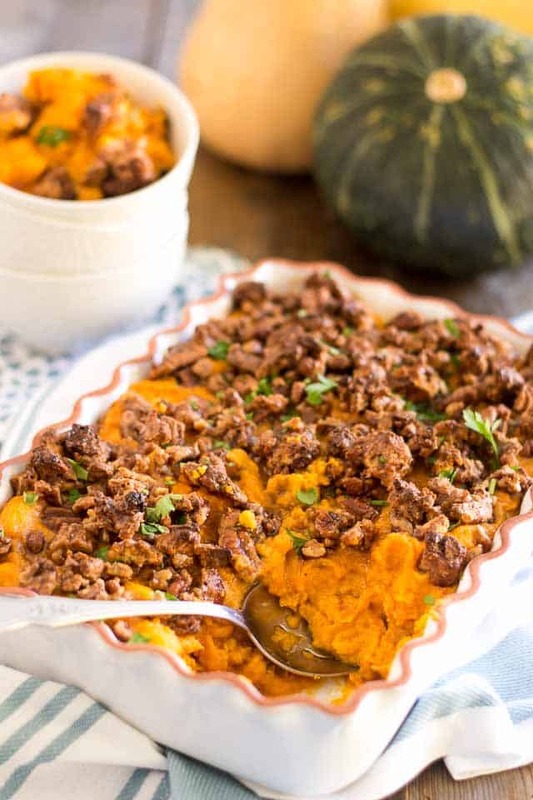 I sort of get the feeling that this Whipped Sweet Potato Casserole, topped with a generous amount of crunchy and sweet Candied Maple Walnuts will end up being everyone’s big favorite of the day. 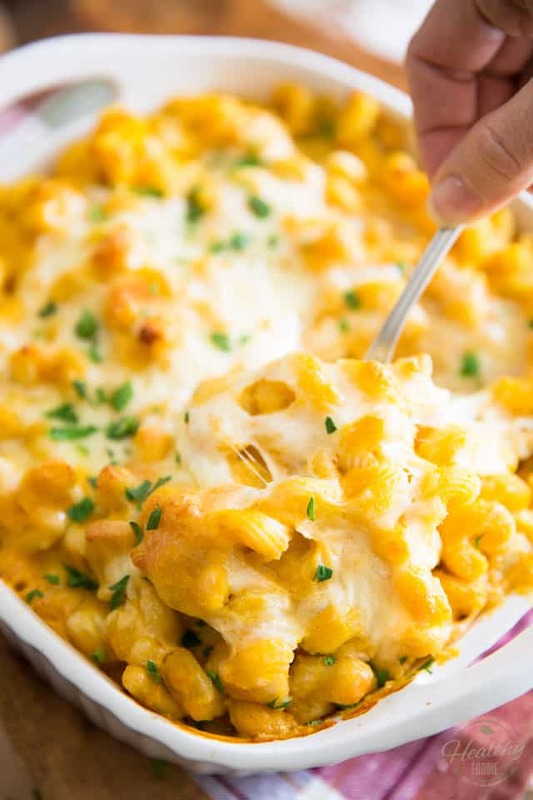 It’s seriously so dreamy, just one bite will have everybody wanting to give thanks all around! 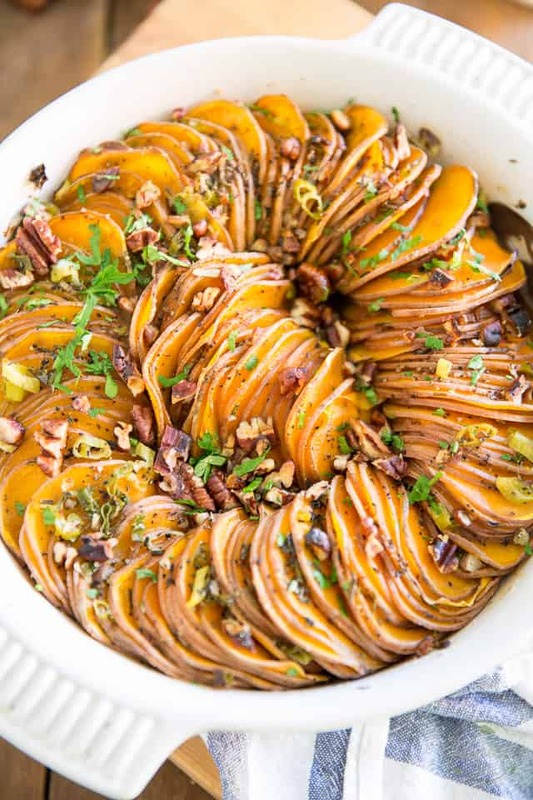 Wow your guests with these stunning and elegant looking Baked Potatoes. 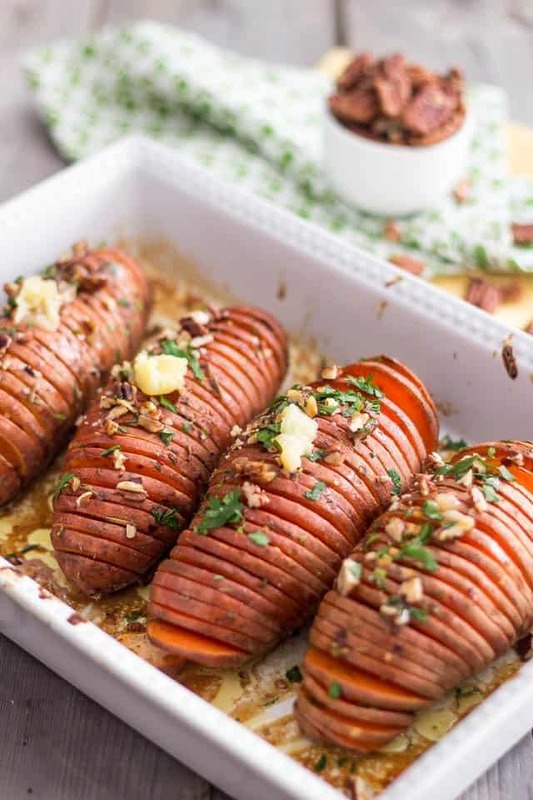 Learn how to easily make Hasselback Potatoes with a very simple trick, and then kick them up a notch to make them Thanksgiving worthy! 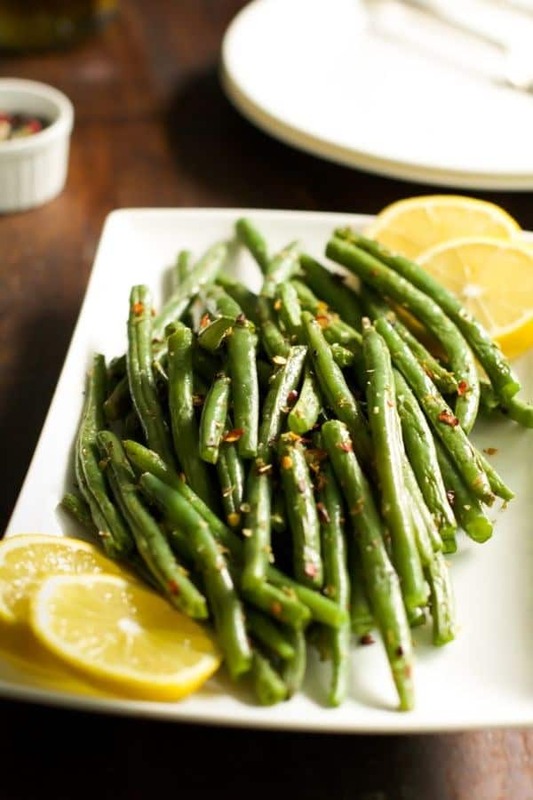 Here’s a side dish that’s so easy to make and so delicious, too, you’ll want to make it time and time again! Even on Thanksgiving. Or ESPECIALLY on Thanksgiving, rather! Much better than a plain slice of bread! 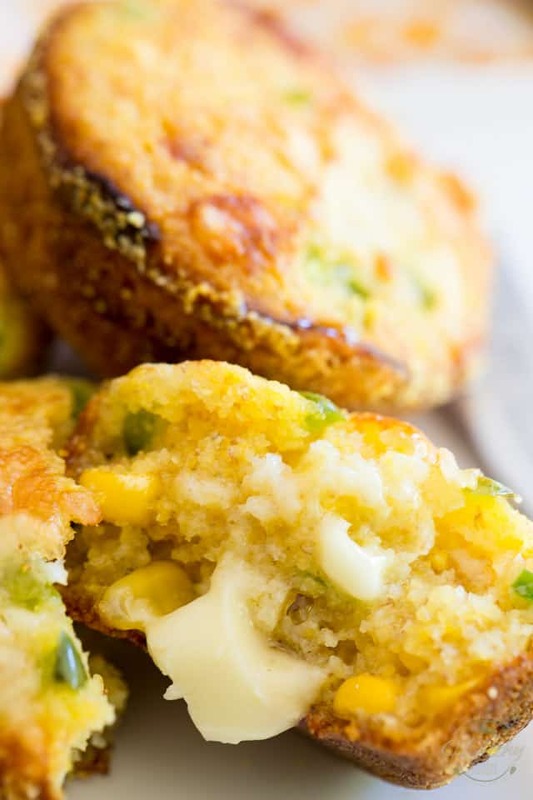 Tasty, delicious, moist and tender, these Jalapeno Cheddar Cornmeal Muffins will be loved by all, and no one will even need to know how healthy these actually are! No Thanksgiving meal would be complete without dessert, now would it? And what better way to end this annual feast than with a slice of heavenly Paleo Pumpkin Pie? 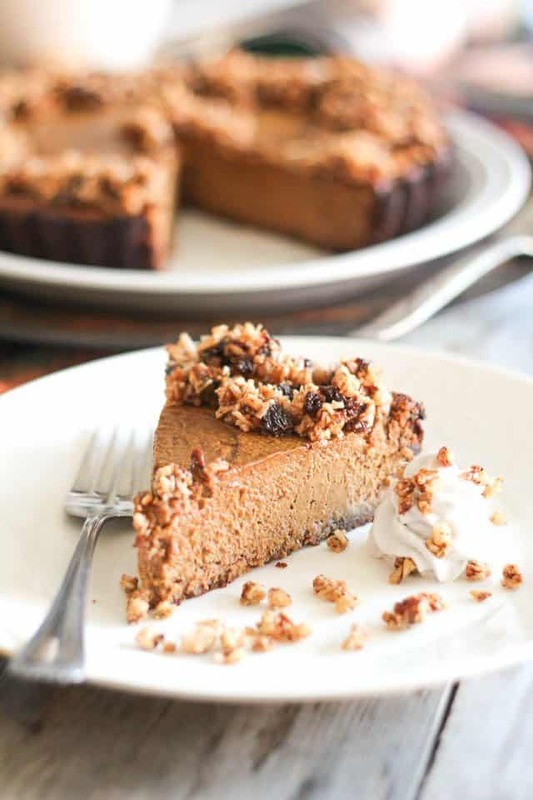 With its devilishly sweet, spiced and super rich custard-like filling and tender-yet-crispy crust, all that topped with a crunchy, honey sweetened crumble, this unconventional Pumpkin Pie is nothing short of spectacular. Bet it’ll have you coming back for more… year after year after year! Or, you could go with this other great classic. 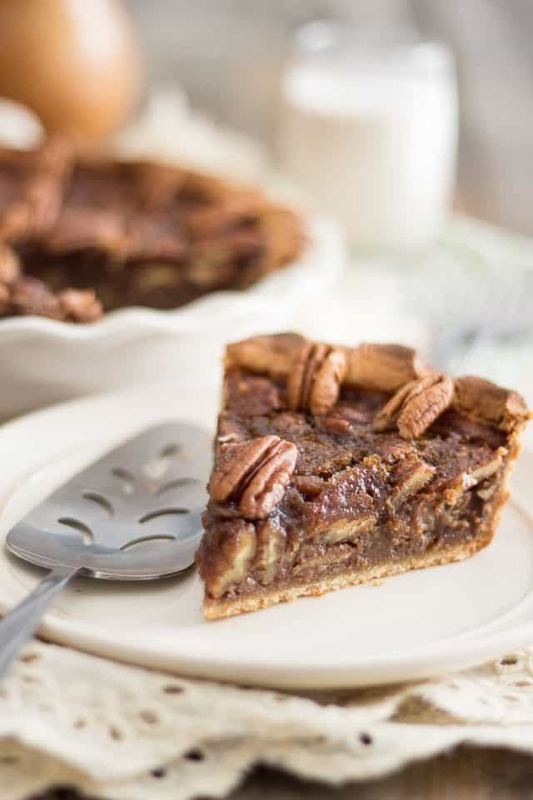 Trust me when I say that the “real deal” has absolutely nothing over this Paleo version of Pecan Pie: its filling is perfectly sweet, silky smooth and crunchy at the same time, and tastes like a million bucks, too! Once you’ve tried it, you’ll never go back! 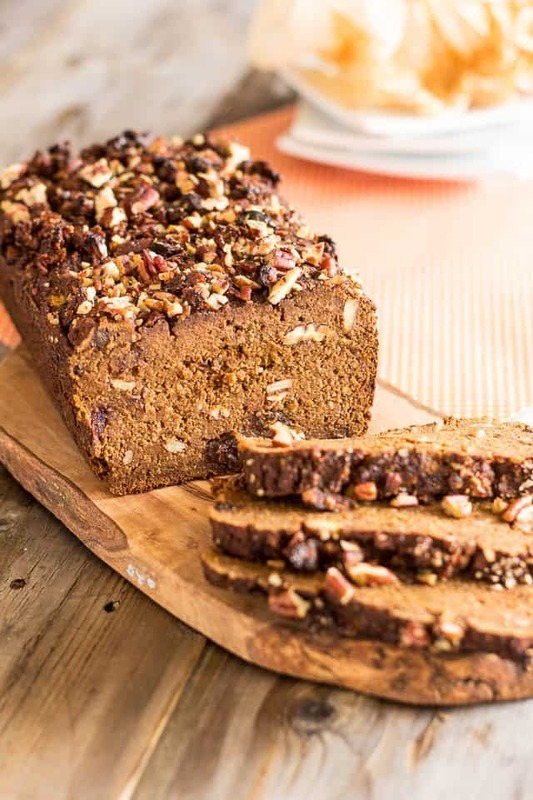 This bread is so dense and moist that it barely holds its shape when you slice it up, but it tastes so good that you probably wouldn’t mind eating it with a spoon if you had to! 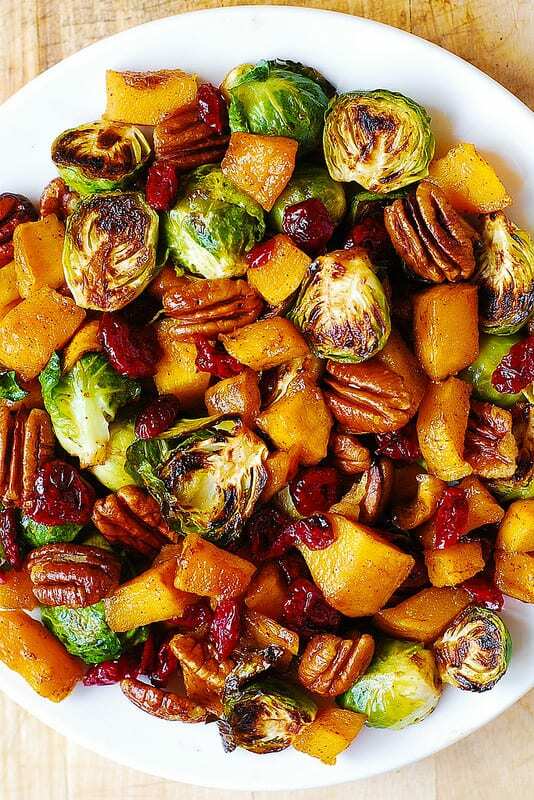 I’ve got plenty other great Thanksgiving recipe ideas in Paleo Home Cooking! Just sayin’, you know… In case I didn’t get you covered here! 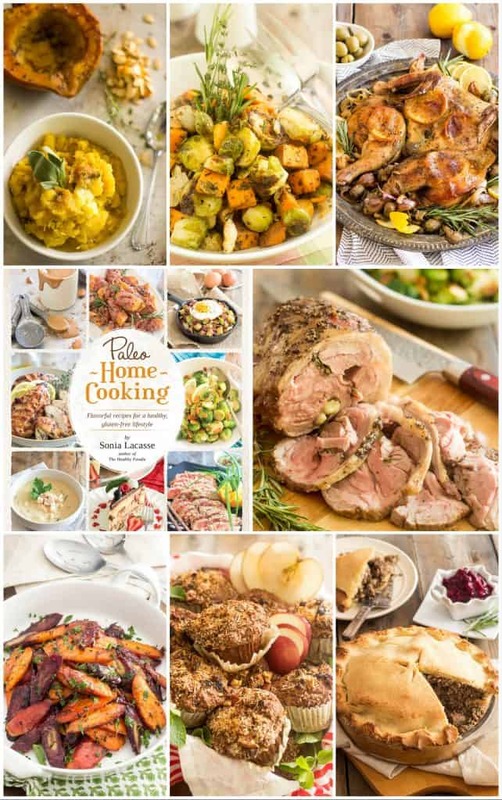 The recipes look AMAZING….can’t wait to try them! I like the way you can just scroll down to see them all.